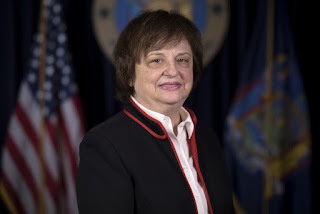 NEW YORK — Attorney General Barbara D. Underwood today joined a coalition of 15 Attorneys General challenging President Trump's appointment of Matthew Whitaker as Acting Attorney General of the United States. In a friend-of-the-court brief filed in a Maryland case, the amici states argue that Trump's appointment of Whitaker, the Chief of Staff to the Attorney General, to serve as the nation's top legal officer violates laws clearly indicating that the Chief Deputy Attorney General takes over when an Attorney General steps down or is removed. "The law is clear – and Matthew Whitaker's appointment as Acting Attorney General is illegal, violating long-standing rules," said Attorney General Underwood. "Our coalition of Attorneys General will continue to do what's necessary to protect the rule of law." The amicus brief, filed Monday with the United States District Court for the District of Maryland, supports Maryland's motion for a preliminary injunction in a lawsuit regarding the Affordable Care Act. The motion seeks to stop Whitaker from exercising the authority of the U.S. Attorney General, or to substitute Deputy Attorney General Rod Rosenstein as a defendant in an ongoing lawsuit between Maryland and the federal government. According to the brief, the states have concluded that Mr. Whitaker's appointment is illegal, ignores long-established vacancy succession laws, and is in violation of Congress' clear designation of the Deputy Attorney General as the Acting Attorney General. The brief argues for a prompt resolution of the legal uncertainty surrounding Mr. Whitaker's appointment because it leaves DOJ decisions open to legal challenge. This could cause the amici states significant harm, because the states rely on the legitimacy of DOJ actions. The U.S. Attorney General takes many actions that fundamentally affect the lives of New York residents, and the New York Attorney General's office regularly works with DOJ; therefore, the states joining the brief have a compelling interest in DOJ's ability to work effectively and consistently under the rule of law. In the brief, the Attorneys General note that Congress has protected the Senate's confirmation power by specifying that in the event of a vacancy in the U.S. Attorney General's office, the Senate-confirmed Deputy Attorney General, if available, temporarily assumes the position until a new appointee is confirmed. Since Congress first established DOJ in 1870, it has provided for a specific order of succession in the U.S. Attorney General's office to maintain continuity of government. The appointment of Mr. Whitaker directly undermines Congress' intent in creating this order of succession. The U.S. Attorney General is one of four original cabinet positions created in 1789, and enjoys near-total authority over the operations of DOJ: overseeing a vast array of law enforcement organizations including the Federal Bureau of Investigation, the federal prison system, and 94 U.S. Attorney's Offices. It is responsible for supervising all litigation involving the United States, its agencies, and employees. As a result, the U.S. Attorney General ultimately determines the positions of the federal administration in court, which have profound consequences for citizens.